Scheduled for an October 2012 official release is this "re-introduction to science fiction's lost gothic space odyssey." "September 13th: 1999 – An atomic accident causes the moon to be blown out of orbit and hurled into the unknown, the survivors of the lunar base stationed there launched towards their destiny across the stars. But what of the cataclysm and wanton destruction caused to the Earth in its wake? 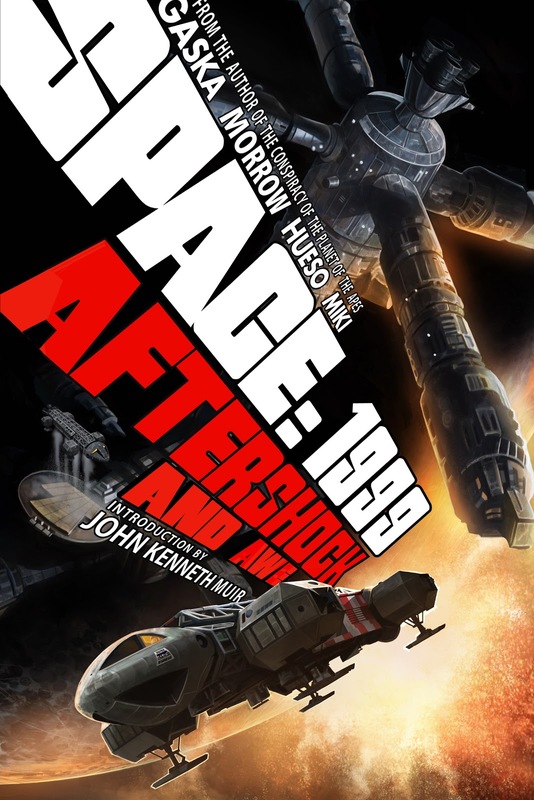 This groundbreaking retro-reintroduction to the sci-fi hit series from the early 1970s begins with AFTERSHOCK, which follows nine lives who are forever changed by the carnage left in the moon’s wake. Told from the point of view of those left behind on a ravaged Earth, AFTERSHOCK explores the scientific, environmental, and social political repercussions of a world left with no moon. The story continues in AWE, which adapts the pilot episode of SPACE: 1999 “Breakaway”, as seen through the personal logs of Commander John Koenig and Professor Victor Bergman on Moonbase Alpha -- expanded to include both new and unfilmed material, and utilizing the remastered art of comics legend Gray Morrow as a basis for this revolutionary retelling of a sci-fi classic. Based on the classic science fiction television series SPACE: 1999 – and set in the continuity of the original series, AFTERSHOCK AND AWE steals a glimpse at an alternate history of mankind, and jump-starts humanity’s eventual destiny far out in space..."
I will only add to that exciting intro that I've had the pleasure of previewing the absolutely amazing, mind-blowing art work for this Space: 1999 graphic novel, and also the privileging of penning the introduction to this project. Pre-order information on "Aftershock and Awe" should be available soon, and when it is, I'll be certain to post it here. Terrific news indeed! I will keep you updated on the project's development. I'm looking forward to supporting the 1999 graphic novel series as well! This is welcome news, thanks for keeping us posted. I will definitely be purchasing this graphic novel. 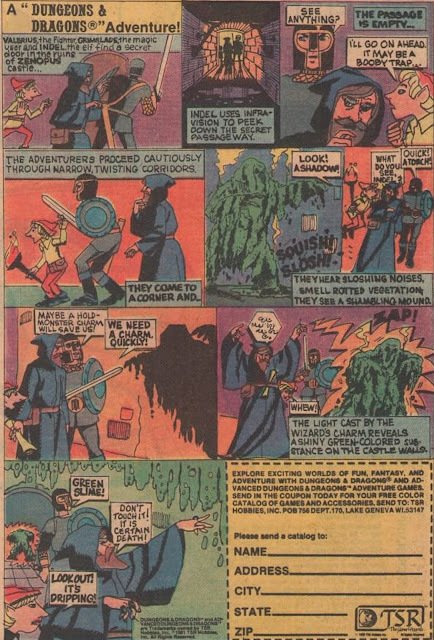 I'm pleased as punch about the literary and graphic novel continuations of Space:1999, and I'll be right there with you, purchasing Aftershock and Awe. This one is going to be awesome. Oh wow! My favourite tv show of all time gets the graphic novel treatment! Let me join the queue for pre-ordering now!! Thanks for keeping us up-to-date John. As ever you have a blog to be reckoned with!